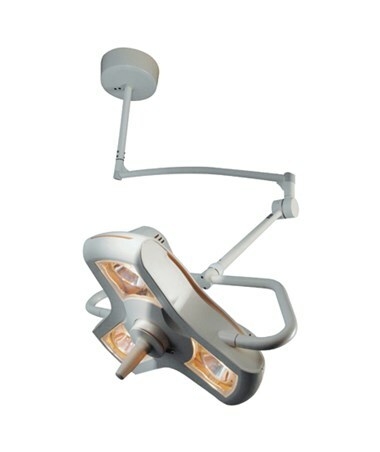 Philips Burton AIM-100® Series Surgical Light is a highly versatile system designed to bring in most possible functional value and use comfort. Numerous smart features make the unit suitable for a wide range of medical settings and practices including most demanding ones. A variety of technical configurations and mounting options ensures that AIM-100® meets the individual needs of each customer. 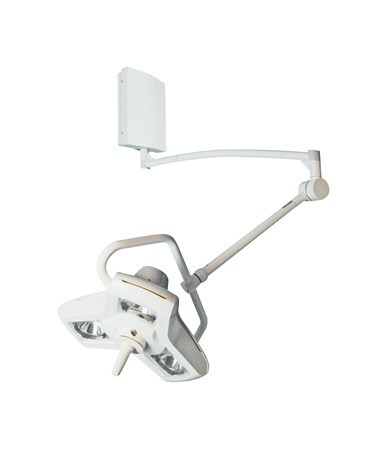 The truly progressive design of AIM-100® incorporates a rare feature of a longer arm construction allowing positioning the light in any possible direction, at any angle. This way the unit provides a truly superb maneuverability, being easily manipulated at the same time. Extremely smooth focus is regulated with the use of a convenient center handle that locks into a position with one hand, is easy to clean and sterilize. Taking into account the need of long use hours, Burton engineers have wired the bulbs in parallel for dependable continues service and ensured the cool operation of the system. In medicine most challenging spheres Burton aims to provide the unit that the healthcare professionals can depend on. As a result AIM-100® features most advanced technical specification. 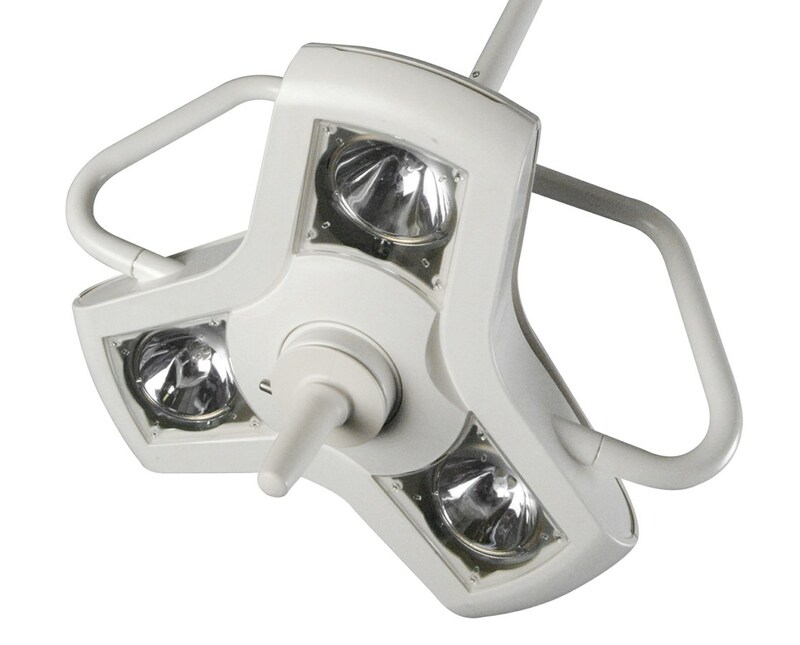 3500 K color temperature and high intensity of 63,000 lux (5852 fc) at 1 meter ensure true, natural coloring. 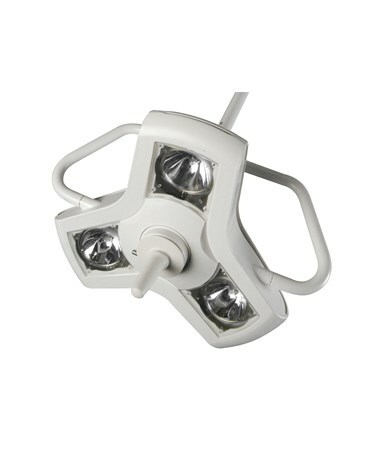 Compact, 20” in diameter lightheads are assembled with quartz halogen bulbs that feature 2000-hour life. To purchase your customized AIM-100® model, please go to the drop down menu above and complete your order in a few easy steps. 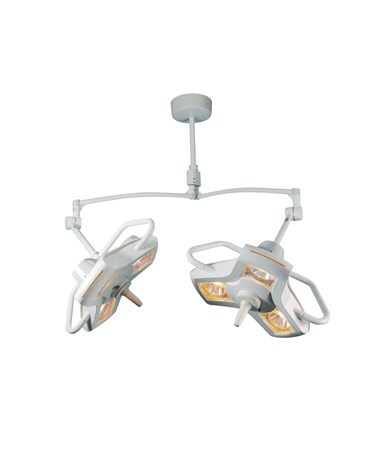 Swivel Radius (Ceiling Mounted ) 63” (160 cm) max. 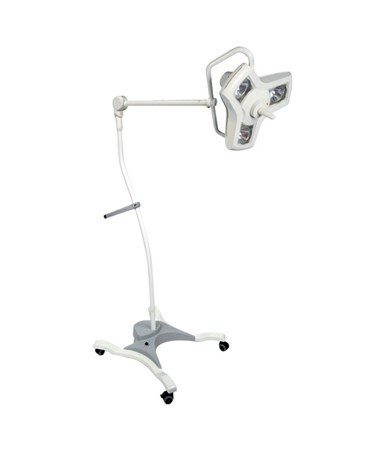 Tiger Medical offers a 30 day return policy from date of shipment for this product, subject to a 18% restocking fee, in addition to the return shipping charges. The product must be in brand new condition and in its original packaging. We take the responsibility to make sure this product arrives in brand new working condition. Should your item arrive damaged, we will replace the product at no cost to you.